David Geffen was born today, February 21, in 1943. He is a business magnate, producer, film studio executive, and philanthropist. Geffen created or co-created Asylum Records in 1970, Geffen Records in 1980, DGC Records in 1990, and DreamWorks SKG in 1994. His donations to the David Geffen School of Medicine at UCLA and other educational and research donations have widened his fame beyond the entertainment industry. David Geffen was born in Borough Park, Brooklyn, New York. Geffen graduated from Brooklyn's New Utrecht High School in 1960 with a 66 percent average. He attended the University of Texas at Austin for a semester, and then Brooklyn College, before again dropping out. He then moved to Los Angeles, California, to find his way in the entertainment business. He attended Santa Monica College (then known as Santa Monica City College), but soon left. Geffen attributed his challenges in school to dyslexia. His colleagues in the mailroom included Elliot Roberts, who later became Geffen's partner in a management company. Geffen left William Morris to become a personal manager and was immediately successful with Laura Nyro and Crosby, Stills and Nash. When Geffen was engaged in the process of looking for a record deal for young Jackson Browne, Atlantic Records founder Ahmet Ertegün suggested that Geffen start his own record label. Geffen founded Asylum Records in 1970 (with Elliot Roberts). The name Asylum was chosen because of the owners' reputations for signing artists who would struggle to find a record company that would contract with them. The label was distributed by Atlantic Records at this time. Asylum signed artists such as the Eagles, Joni Mitchell, Bob Dylan, Tom Waits, Linda Ronstadt, Warren Zevon, Judee Sill, and J.D. Souther. Asylum was later acquired by Atlantic's parent company, Warner Communications, and merged with Elektra Records in 1972 to become Elektra/Asylum Records. In 1980, he founded Geffen Records and recruited Warner Bros. Records exec Ed Rosenblatt as president. The Geffen label's meteoric rise to prominence within the year proved a bittersweet success. Geffen's first artist to sign on was Donna Summer. Geffen shortly after released her The Wanderer album, the lead single of which reached #3 on the Billboard Hot 100, and the album certified gold. Casablanca countered by releasing more singles off her 1979 Bad Girls album such as the song "Walk Away" and a similarly named hits compilation to compete, but by then New Wave sound was dominating the airwaves. The November 1980 release of John Lennon's album Double Fantasy seems an impressive feat for a new label, but at the time Lennon stated that Geffen was the only one with enough confidence in him to agree to a deal without hearing the record first. Yoko Ono, Lennon's wife and partner, stated that Geffen was the only label head to pay attention to her. In December 1980, Lennon was murdered and Double Fantasy became a massive seller. Over the years Geffen Records/DGC has become well known as a label, releasing works by the likes of Olivia Newton-John, Asia with Steve Howe and John Wetton, Elton John, Cher, Sonic Youth, Aerosmith, Whitesnake, XTC, Peter Gabriel, Lone Justice, Blink-182, Guns N' Roses, Nirvana, Lifehouse, Tyketto, Pat Metheny, Sloan, the Stone Roses and Neil Young. Through the Geffen Film Company, Geffen produced dark-tinged comedies such as (the 1986 version of) Little Shop of Horrors, Risky Business, and Beetlejuice. Geffen was the Broadway backer for the musicals Dreamgirls and Cats. In 1994, Geffen co-founded the DreamWorks SKG studio with Steven Spielberg and Jeffrey Katzenberg. In 2008, Geffen left DreamWorks. Geffen has developed a reputation as a prominent philanthropist for his publicized support of medical research, AIDS organizations, the arts and theatre. In 1995 he donated $5 million toward UCLA's Westwood Playhouse. The theatre was renamed the Geffen Playhouse. According to Forbes ("The 400 Richest Americans of 2004") and other sources, Geffen has pledged to give whatever money he makes from now on to charity, although he has not specified which charities or the manner of his giving. In 2002, he announced a $200 million unrestricted endowment for the School of Medicine at UCLA. The School thereafter was named David Geffen School of Medicine at UCLA. On December 13, 2012, UCLA announced that Geffen had donated another $100 million in addition to his 2002 donation of $200 million, making him the largest individual benefactor for the UC system. The latest donation funds the full cost of attendance for up to 30 students per year, beginning with the Class of 2017. In 2015, Geffen pledged $100 million toward renovation of what was then called Avery Fisher Hall, part of Lincoln Center for the Performing Arts in New York. His gift, which amounted to about 20 percent of the hall's renovation costs, gave him naming rights in perpetuity over the building, now known as David Geffen Hall. He was an early financial supporter of President Bill Clinton. In 2001 he had a falling out with the former president over Clinton's decision not to pardon Leonard Peltier, on whose behalf he had lobbied the President. Geffen was an early supporter of Barack Obama for president and raised $1.3 million for Obama in a star-studded Beverly Hills fundraiser. Along with other celebrities including Steven Spielberg and Brad Pitt, Geffen donated money to try to prevent Proposition 8 from becoming law in California. 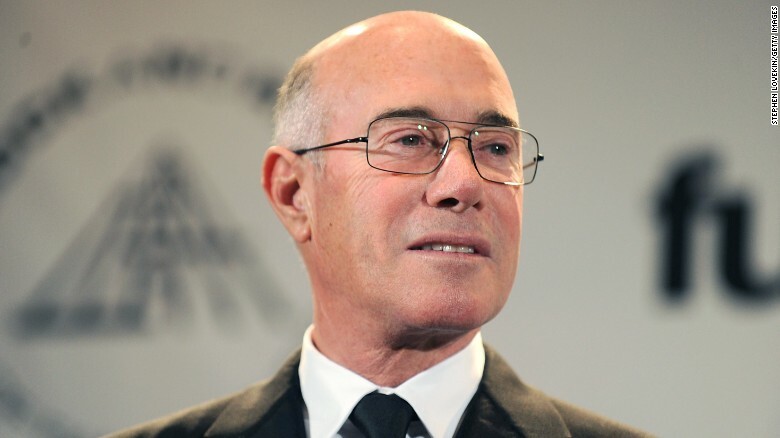 Geffen has an estimated net worth of $6 billion, making him one of the richest people in the entertainment industry. In May 2007, Out magazine ranked Geffen first in its list of the fifty "Most Powerful Gay Men and Women in America." Joni Mitchell and Geffen were close friends and, in the early 1970s, made a trip to Paris with Robbie Robertson and Robertson's wife, Dominique. As a result of that trip, Mitchell wrote "Free Man in Paris" about Geffen. Geffen can be heard on Barbra Streisand's The Broadway Album, released in 1985. The track "Putting It Together" features Geffen, Sydney Pollack, and Ken Sylk portraying the voices of record company executives talking to Streisand. Wealth-X reported in June 2013 that Geffen owns the most valuable private art collection in the world, and estimated its worth at $1.1B at the time. Familiar name but knew nothing at all about the man (not curious enough, I suppose). He sure has been a shaker and puller of strings in that illustrious career.